I first started to become aware of David Warner when I watched films like John Carpenter's In the Mouth of Madness and The Thirty Nine Steps remake (which I will reviewing next) and it was great when I revisited Tron more recently to notice just how great Warner's performance was in this movie. Tron in someways could be considered traditional i.e. a group of good guys going on Joseph Campbell's Hero's Journey like the protagonists in Star Wars, Krull and numerous other films. It contains the big action set piece which is the light cycle sequence which is virtually identical to Ben-Hur and the pod race from the Phantom Menace. Just the fact that they cast a British actor as the bad guy who of course is David Warner in this case could have been cliche too far, of course though in reality it's anything but traditional in fact at times it's breathtakingly original. It is of course famous for being one of the first films to use CGI although the first was 1973's Westworld. Although the makers of Tron were the first to use computer graphics to actually tell a story, plus they used a variety of traditional and more standard effects to make the virtual world seem as if it was done in a computer. Warner showed incredible foresight to be involved in a project that in some ways had disaster written all over it, kind of like a retro version of Speed Racer, even those these films go on to be cult classics and influence the industry in all kinds of ways it takes a brave and intelligent actor to be associated with a film that could have tarnished his career for the foreseeable future. Not something you need when your a working actor. Originally Disney wanted to go with Peter O'Toole instead of David Warner but luckily for him he dropped out because he couldn't get used to the idea of working where 70% of the effects would be put in during post production, and even though there was some actual sets there it was the bare minimum and even then the most talented actors and actresses struggle in those circumstances. Even Steven Lisberger who directed this and the sorely underrated and virtually unheard of animated film Animalympics said he was guilty of casting a Brit as the main bad guy but, this of course is nowadays considered a cliche but when done right as with films like Die Hard, Beverly Hills Cop and of course Tron it really works a charm and you can see why it's done. 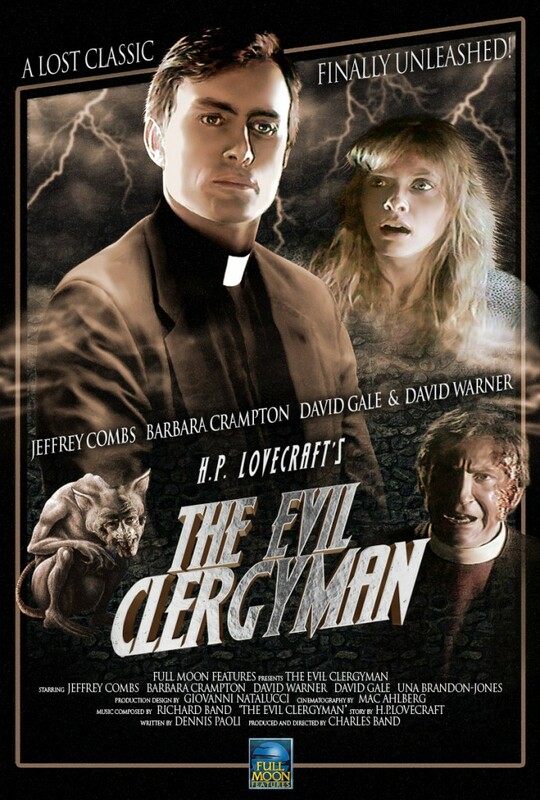 David Warner believe it or not plays three parts in this movie which shows his versatility as an actor plus not only did he deliver a great performance in this film, he as since gone on to be a notable part of the Star Trek series and he appeared as the Doctor in a Doctor Who audio adventure. When you cover all those bases in the science fiction genre you know you are doing something pretty special. His portrayal as the business man Ed Dillinger is almost robotic which is very reminiscent of the cyborg killers in Halloween III - Season Of The Witch which coincidentally was released the in the same year, weirdly when you see him as Sark in the computer world he comes across as being passionate and showing more emotion therefore acting more human. This makes for a brilliant quirk and it's little elements like this that make this film the cult classic that it it. It could be said about numerous films (although I think more so with cult movies) but I truly believe that it's all the tiny elements that make a cumulative effect in making people truly fall in love with these films, it might be the weird,especially for the time subject matter, the fact that it's since become a fan favourite, or the casting of an actor like David Warner but this film will live on for years to come. 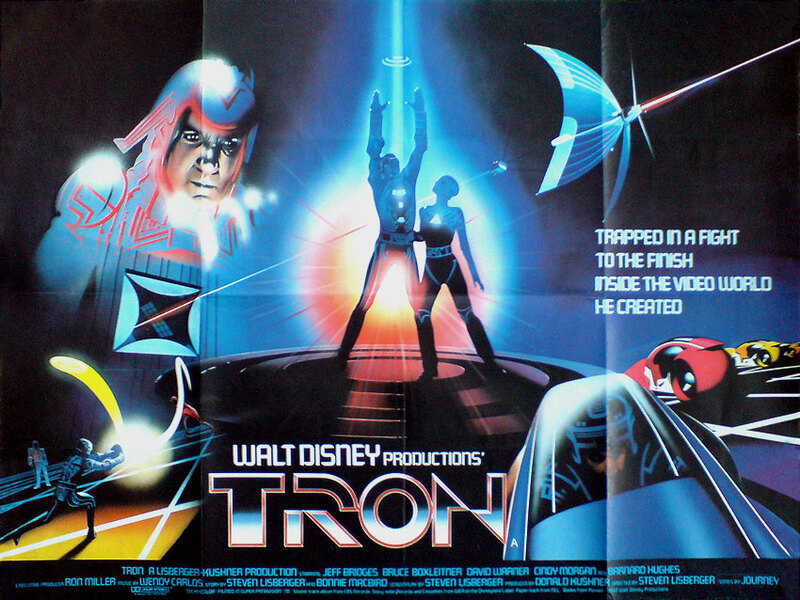 Truly amazing to thing that when Tron was released I was eight years old and was only just getting a home computer and even though some of the notes for this very review were written by hand with a pen and paper its almost a minor miracle to realise just how far ahead of the game the cast and crew were when they made Tron. Even behind the scenes they were using a primitive version of the internet for sending artwork and animation most people in the real world didn't get it until the late 90's, truly amazing to think they were basically two decades ahead of most of the world. Also of course worth mentioning is Warner as the MCP or Master Control Program which is on a acting level an interesting hybrid of the Dillinger and Sark characters, how much of this was down to David or the director and it may have just been there from day one at the screenplay stage but it still shows Warner to be very good actor where as somebody of lesser talent may have played all three parts in basically the same manner. The costumes and voice effects deserve something of a mention though because even though Warner is obviously a very fine actor it's these things that just put the icing on the cake for the performance as a whole. Also it must be so flattering in a way for David to have something like Tron on his CV of acting credits, it's a live action science fiction made by Disney during the time period when they basically took so many risks and chances, it's one of the strongest cult films of all time and there is a sequel on the way, at this time it's not known if he will return in one form or another, but even if he doesn't and even if he never acted again, he could probably make a decent living from touring the convention circuit on the basis of being in Tron alone, which kind of says something about both the actor and the movie.